It was not very long ago when incoming college students were bombarded with offers for credit cards. This generally came with usurious interest rates and the danger of being seriously in debt before they even had jobs. The Card Act of 2009 brought this pretty much to a halt. The companies that issue credit cards can no longer advertise on campus. They also not allowed to offer the types of promotions that would entice young people to use their cards. Of course, credit cards still come with potential pitfalls. These cards have become ubiquitous and all teens believe they must have one. In fact, this is often also true of today’s high school students. As a parent, you need to teach your kids how to use credit cards, monitor how they use them and protect them from abusing credit. According to JAColorado.org, 8 out of 10 parents understand that it is their responsibility to inform their kids about the basics of money and savings. This data was taken from the 2012 survey of DoughMain. You need to understand that this is also something that you should work on. Here are some ways to get them started on the right foot. Instead of giving your kid his or her own credit card, open a new one in your name with a low credit limit and add your child to the card as an authorized user. Be sure to also set up online access so that both of you can review your child’s spending. You should also ensure that the credit usage is reported both under his or her Social Security number as well as your own. This will give you the added incentive to monitor your kid’s spending – because it could impact your credit. Of course, your kid will have no credit at first. Be sure to explain that how he or she uses the credit card will be reported to the three credit bureaus. Explain that anything that’s bad, such as making a late payment, will stay on the credit reports for seven years. This will impact your child in many different ways, including the cost of auto insurance, whether or not she or he can rent a house or apartment or even get a job. The website Bankrate has special student credit cards. Almost all of the major credit card issuers such as Capital One, Discover, and Citibank have cards specifically for students that include some nice rewards features. This can include free FICO credit scores and, in the case of Discover, a feature that provides $20 cash back for each year your child’s grade point average is about 3.0. This card is designed specifically for young people and their parents. It’s a secured card linked to your account so that it’s refilled automatically when the money runs out. Both the student and you can instantly view all transactions online. If your child phones home asking for a refill because his or her books were too expensive, you might see that a lot of money actually went to the campus bar and grill (grin). The downside of this card, as explained in the following video, is that it’s a prepaid card so how your teen uses it won’t be reported to the credit bureaus. Instead of getting your child a credit card, think about getting him or her a checking account. Then you can get a debit card. These cards work the same as a credit card and can be used for purchases. It can also be used to get cash from ATMs. However, if your child tries to spend more than is in the checking account the charge will be declined just as a bad check will bounce. 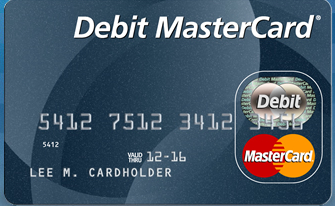 On a brighter note if your child uses the debit card sensibly this would help him or her establish good credit. Do not stop with helping your child develop good habits with credit. You might want to sit down at the start of the year and help them develop a rough budget. Get out a piece of paper and draw a vertical line down the middle. On the left hand or income side right down how much your child will be receiving each month. Then ask him or her to estimate their expenses. This should include the cost of books, recreation, gas, clothes, eating out and so forth. This should give your child a good idea of how much they could spend in these categories. At least, without getting into trouble financially. Even if your child doesn’t guess the expenses correctly, which will most likely be the case, that is okay. He or she will at least, have a starting point to build on. However, never forget that no matter how mature your teen might seem in some matters he or she is still a rank amateur when it comes to managing money and you can expect that there will be issues. If your kid is typical mistakes will be made. To help your child learn to use credit sensibly and manage their own finances, you have to let them learn. This means not bailing them out when they’ve reached the card’s limit or overspent the money on their secured card. Instead of enabling them, you might suggest they get a part-time job. That way, they can earn extra money that could be used to pay down the card’s balance. These lessons can be painful but less costly if they learn them when they are young. This way they will have a much easier time with their personal finances in later life.